Meeting covered latest developments in the political situation, completing the ministerial cabinet, and the institutionalization of the Alliance, and discussed the situation of development and service in some provinces. The Political Authority stressed the need to keep open dialogue with the Al-Bina Alliance and other political powers to find a unified national vision that leads to overcoming current crises, stressed on active presence of Parliament Members and not to disrupt the parliament's legislative and supervisory role, and enacting laws especially laws with direct impact to the citizen needs and interests immediately after concluding Government formation. 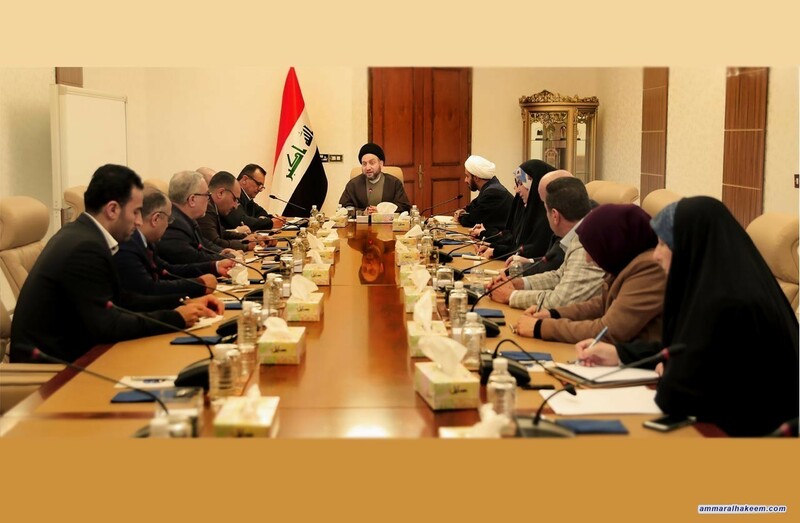 Conferees urged the partners of the political scene to avoid imposing wills, and to favour the patriotism and waiver for the interest of Iraq, and give space for the prime minister to complete his mission, renewed their support to the government in all fields in order to achieve prosperity and development for the Iraqi people.